Some might say that Singapore was a sleepy fishing village before being a British colony, but historical evidence tells us otherwise. Curious to find out more? 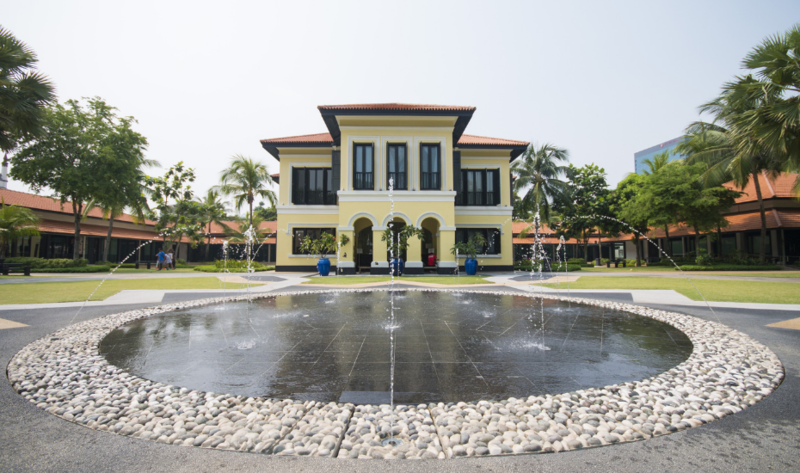 The Maritime and Port Authority of Singapore has designed a free guided tour that uncovers more secrets behind some of Singapore’s most buzzing neighbourhoods – Telok Ayer and Kampong Glam – that gives us amazing insights into our maritime legacy. 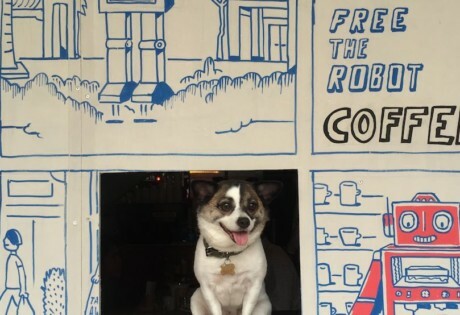 You know Telok Ayer for its murals and chill cafes, but as you’re sipping your cuppa, did you know this used to be where the shoreline was? A century ago, you’d be facing the sea – the street used to be the beach before land was reclaimed for urban redevelopment. Pop by the historical institutions around Telok Ayer – also known as the Street of Harmony as there are three Chinese temples (one of which is now Fuk Tak Chi museum), two mosques and a church – for a glimpse into the area’s past. The former Fuk Tak Chi temple used to house the shrine of the deity Tua Pek Kong, one of the first places that Hakka and Cantonese immigrants would visit to give thanks for being blessed to have arrived safely to their destination. On the other hand, Indian-Muslim settlers would go to the Nagore Dargah Shrine (now a heritage centre) to thank their saint, Shahul Hamid for their safe passage. 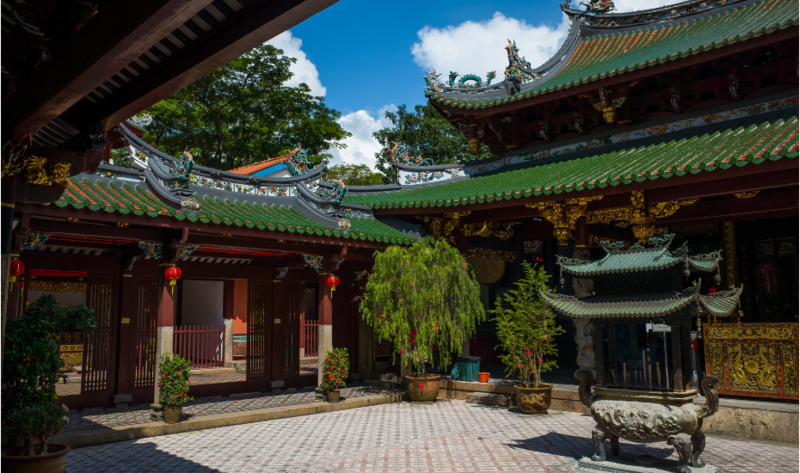 Nearby, the Thian Hock Keng temple was where people prayed to Mazu, the Goddess of the Sea. Today, the temple stands as a reminder of where the shoreline once was. 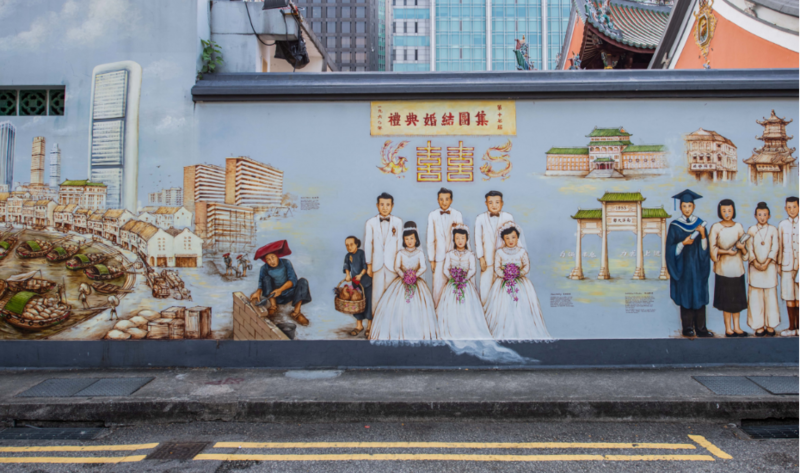 For a literal glimpse into how the immigrants made their long sea passage to Singapore, local muralist Yip Yew Chong has painted a 40-metre long piece along Amoy Street, depicting scenes of its past. Find it next to Telok Ayer Green, where sculptures bring these stories to life (almost). While Telok Ayer pays homage to early Chinese and Indian migrants, Kampong Glam features the maritime legacy of the Malay community that settled on our shores. Another culturally-rich enclave marked by rows upon rows of shophouses, Kampong Glam has acquired a hipster-approved reputation in recent years. But before becoming a trendy hangout, this was where the sea gypsies (orang laut) lived. 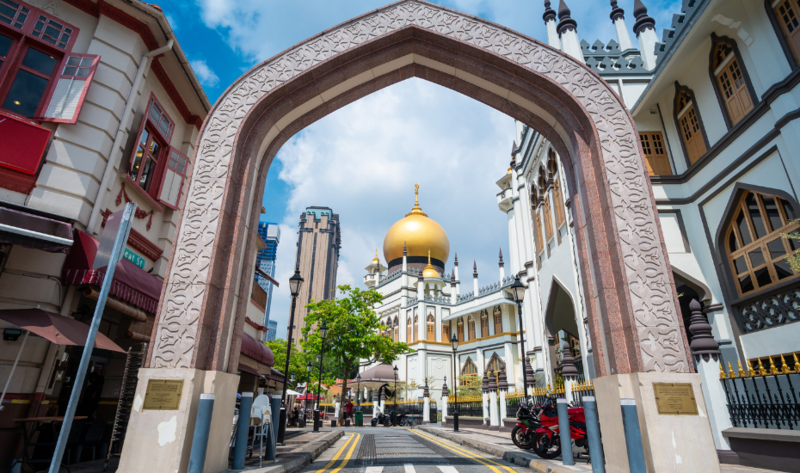 At Muscat Street, walk through the Sultan Gate to get a closer look at the golden domes of the Sultan Mosque (Masjid Sultan), an iconic and unmissable landmark of the district. 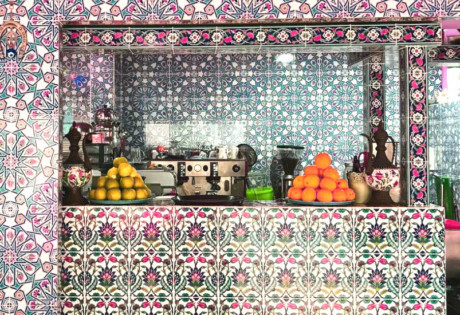 Along the way, spot the Jewel of Muscat mural, which symbolised the revival of ancient trade routes linking Asia to the Middle East. At no. 39 Sultan Gate, where an old blacksmith shop used to stand, the address serves as a reminder of the area’s heyday as a ‘blacksmith street’ where blacksmiths and foundries produced equipment and tools for the shipyards and boat repair areas nearby. Want to know more? Head to the Malay Heritage Centre to learn about Kampong Glam’s history as a thriving port town… there’s more to this place than you think. Aside from viewing artefacts in the galleries, have a go at trading like the early settlers do with the Heritage Hunt – how good are you at bartering for the best deals? Hop on this trail to learn about Singapore’s maritime legacy, (and lock in your daily 10,000 steps) and find out more about maritime heritage and progress with these free guided tours happening on the 1st, 2nd and 3rd Saturdays of every month, throughout the year! This post is in partnership with the Maritime and Port Authority of Singapore.